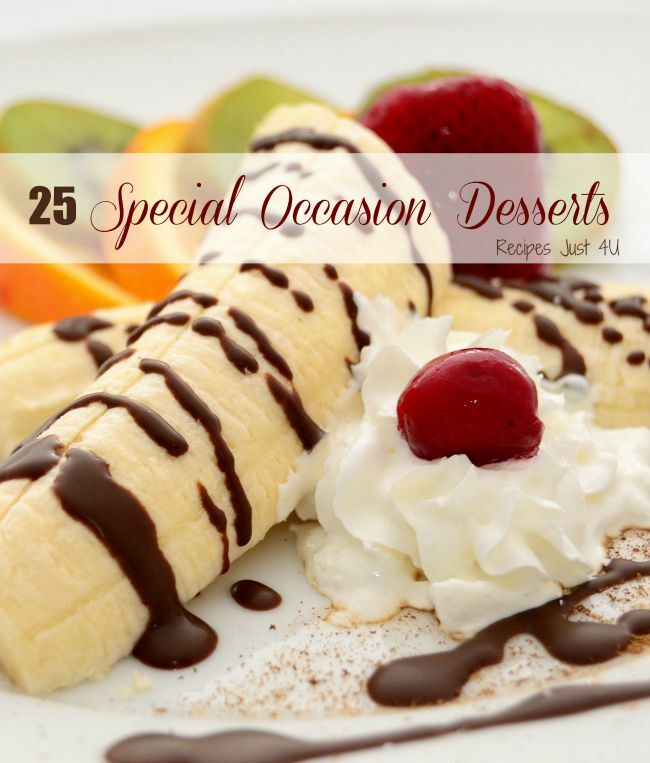 Do you have an upcoming occasion where you will be serving special desserts? 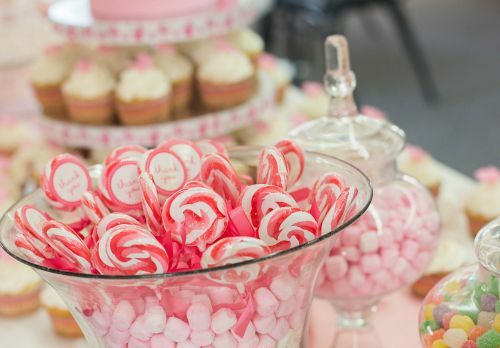 Many get togethers, such as wedding and baby showers, mother’s day teas, charity events and the holidays will often have a dessert table to showcase some lovely dessert offerings. 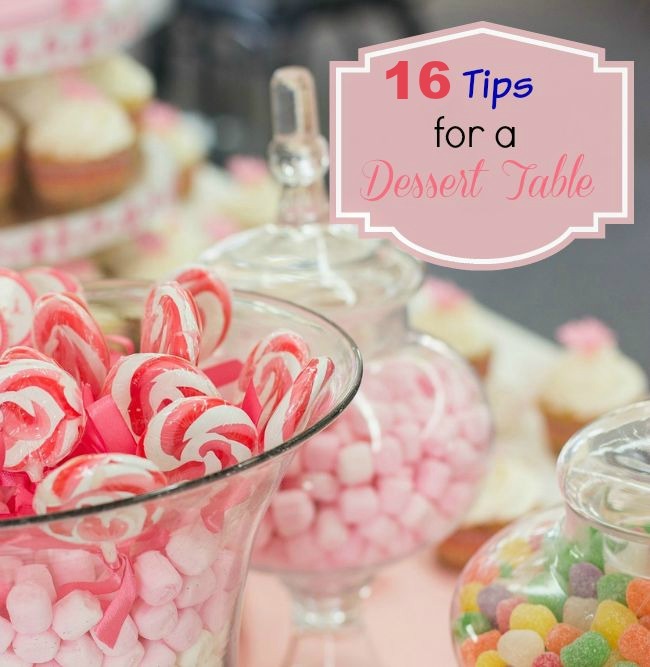 I’ve put together my 15 tips for making sure your dessert table is really something special. Be careful though, after seeing the way you put together your dessert table, your guests may want you to host every gathering from now on! 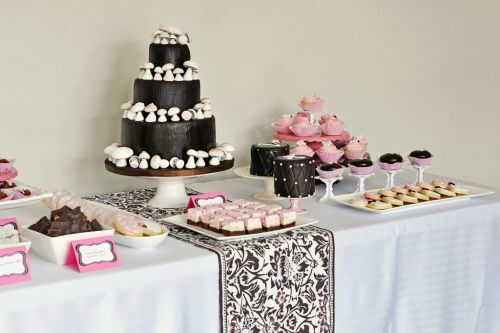 Dress up your special desserts with a fabulous dessert table. 1. The Guests matter. 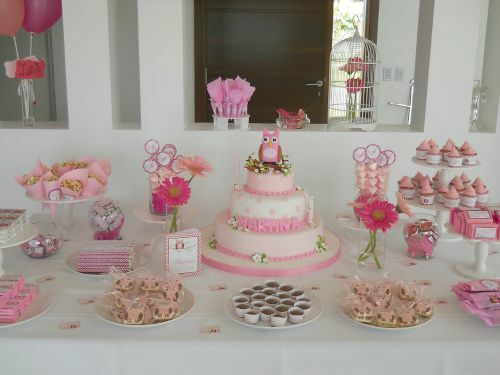 It doesn’t do any good to have a frilly dessert table, if the occasion is a some kind of child’s party. Perhaps your guests are older, and wild colors may not appeal. Think of who your guests will be first and then decorate the table with them in mind. 2. Pick a Theme. What is the occasion? You will want to incorporate the theme of the party into the all aspects of the table, so choosing a theme is very important. 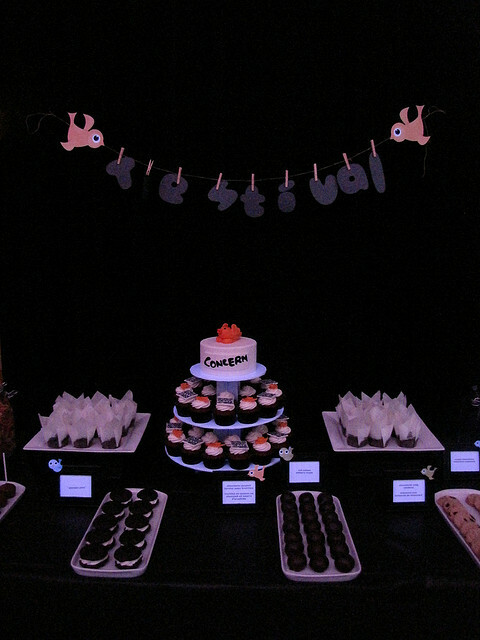 A Halloween dessert table will look very different from one for a Baby shower! This Bridal Shower theme shown by Pen n Paper Flowers on Flickr coordinates the theme well. 3. Choose your Colors. After choosing the theme, move to the colors. You will want a cohesive look when you are done. Choose your colors and then work around this with plates, napkins, tablecloth. Most importantly, make sure the desserts themselves coordinate with your colors if you can. This table from Sweetapolita uses chocolate and pink for a wonderful effect. 4. Add Heights. Height is essential to a well laid out dessert table. They add interest to the display and allow you to use the tallest placement for your most special desserts. This dessert table uses many things to add height to the look of the table. Even the balloons and birdcage seem to be a party of the look. 5. Use Levels. You will keep your guest’s eyes moving over the table if you use levels to take you from table level to the higher displays. This also adds balance and symmetry to the display. This technique can easily be done by placing dessert plates on overturned bowls of the right color if you don’t want the cost of additional serving dishes of the right height. You can also add levels with vases of flowers in varying heights. Notice how the eye moves from one level to another on this cluster of Christmas desserts. 6. Pick a Focal Point. This can either be one really special dessert (such as a shower cake) or a beautiful display of flowers that ties the colors of the table together. The focal point does not have to be the tallest either. 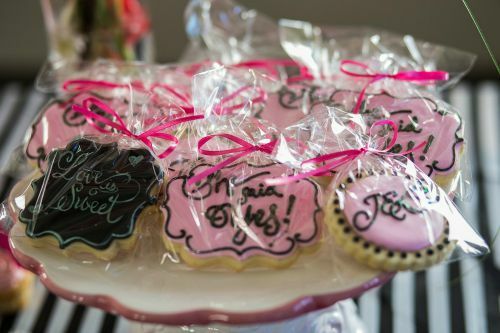 These individually wrapped bridal shower cookies with icing piped messages would make a wonderful focal point at the middle of a dessert table. 7. Consider the back drop. 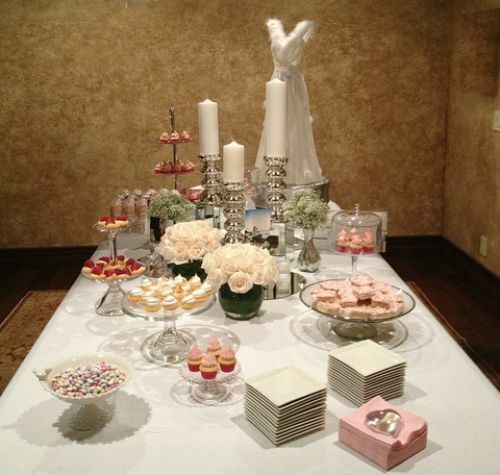 Most dessert tables look best when placed against a wall or background that can be tied into the look of the table. Backgrounds can be created in many ways. Try using wallpaper, fabric or any number of other resources. Pinterest is a great place to get inspiration. 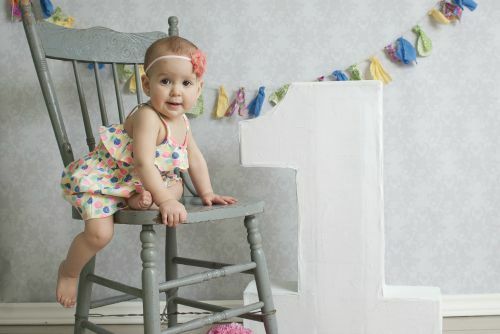 This dark backdrop photographed by Clever Cupcakes on Flickr shows how a simple dark backdrop can be very dramatic. 8. Creative Desserts. 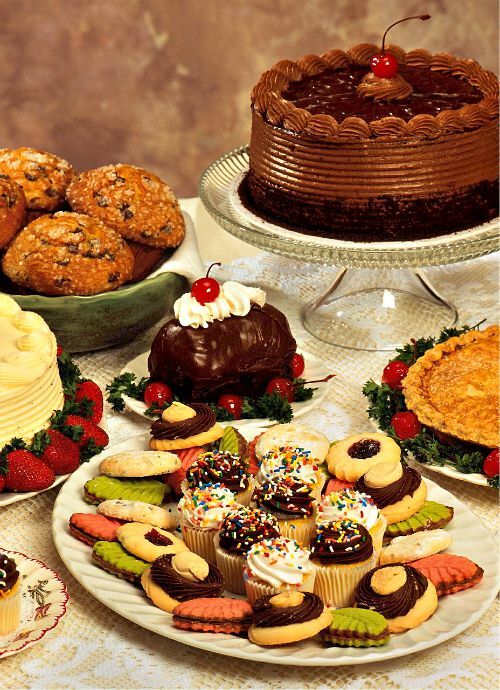 No matter how well you decorate your dessert table, if you just have a few brownies, or chocolate chip cookies, it is not going to look special. Try serving cupcakes with fancy cupcake wrappers, home made truffles covered in sprinkles, personalized cookies, pretty petit fours, specialty candy and other creative treats. 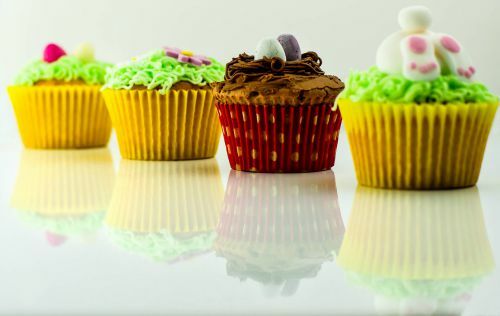 Decorate the top of cakes or cupcakes in a special way for a delightful look. 9. Creative containers. There is no room on a dessert table for a metal 8 x 8 baking pan! This it the time to bring out your prettiest containers. Add some apothecary jars for the candy. Place the cake on a pretty cake stand. Doing things like this will really dress up your table and make it special. 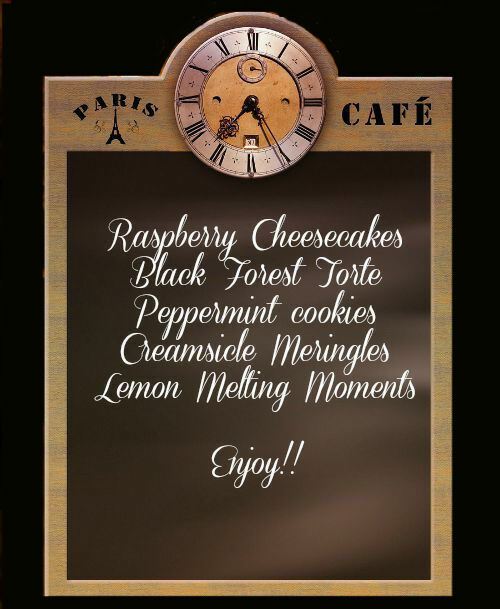 If you really want to label, how about a chalkboard menu instead? 11. Be realistic. Yes, it is wonderful to have some desserts that say “wow,” but if you try to make them all do this, you will be a slave to the kitchen the week before the event. Pick just a few really special desserts, choose wisely on their placement and then round out the table with some that are much easier to prepare. A good rule of thumb is 1 or 2 really special items (which could be bought), 2-3 home made desserts and then 2-3 candy items which can be purchased. Store bought can be your best friend at a time like this! 12. Manage your space. If you put your desserts fairly close together, the finished look will be one of abundance. If your table is larger than the amount of desserts, fill in spaces with creative color matching flowers, or other decorations. 13. Moderation. 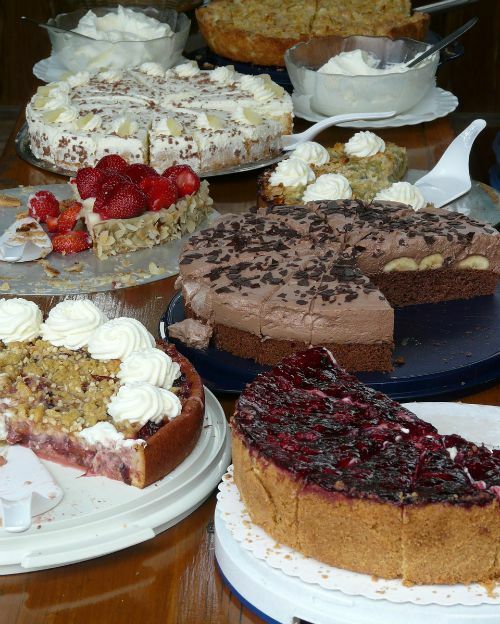 It is easy to get carried away with a table bursting with desserts. Your guests will be tempted by them for sure, but won’t eat them all if you have too many. A table full of sweet treats may look fabulous but do you want these desserts calling your name next week if your guests don’t finish them? 14. Table Size. 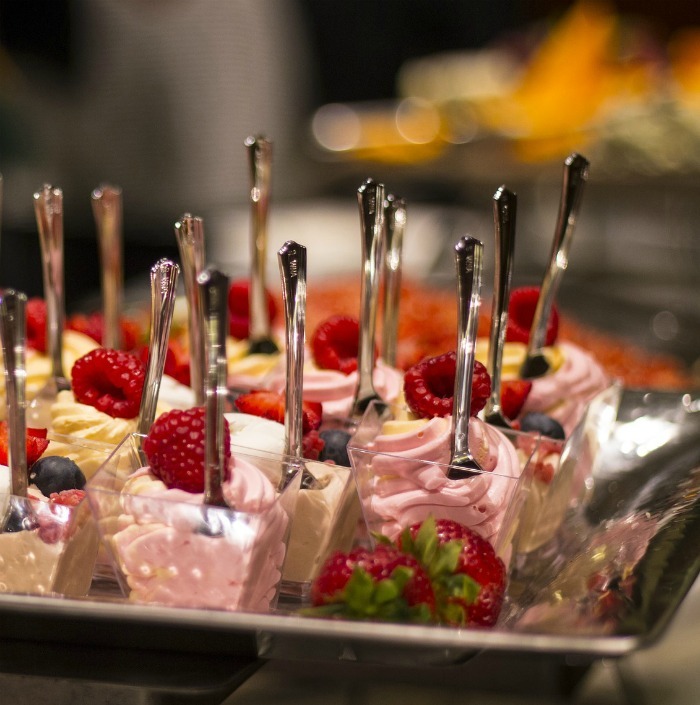 Be sure to choose your table size with your number of guests and the amount of desserts that you will be serving. If you don’t, you will either end up with way too many desserts or a table that will need to be filled with too many other items. If you are using heights, as you should, the table size will be much smaller than you may think. This lovely table photographed by Kristen Ausk on Flickr is the perfect size for the food and extra decorations. 15. Re-purpose. Once you have the theme and the colors, you can look around your home to see what can be re-purposed for the table. Stuffed animals are perfect for kid’s dessert tables. 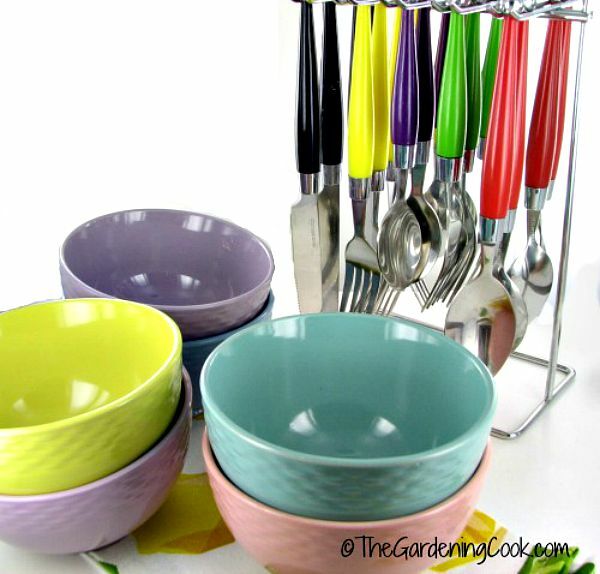 A set of pastel ice cream bowls will, make great candy dishes for an Easter table. 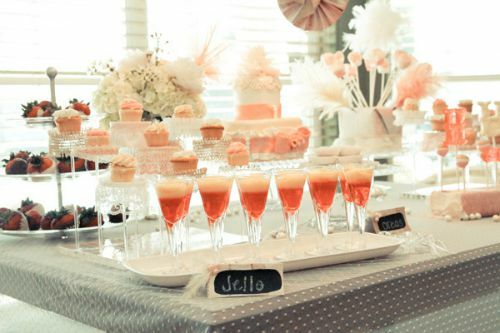 16.Summer Dessert Tables. Having desserts outside in the summer months can be a challenge because of the heat. See my tips for a summer dessert table here. 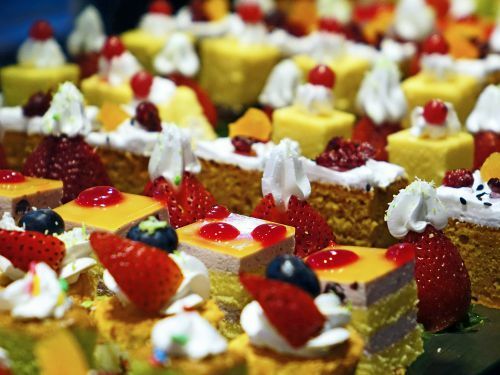 Getting ready and setting up a dessert table takes a lot of time, so use common sense when it comes to choosing the types of desserts you will be serving. Some of my favorites are easy bar recipes. They are quick to assemble, very tasty and seem to disappear quickly on any dessert table. I’ve put together a collection of over 25 of my tested bar recipes that are sure to be a success on any dessert table. Once you have incorporated these tips, have fun! No matter how your table looks, your guests will love what you have put together. It isn’t about perfection but about sharing and having fun with friends. By now, you may be wondering what to add to your dessert table. Why not try one of these really Special desserts? Any of them would look wonderful on a dessert table. 1. 7 layer Bars – aka “Magic Bars” really have a magical taste! 3. Peanut Butter Cup Cheesecake. 5. Christmas Cake with Marzipan Bow. 6. 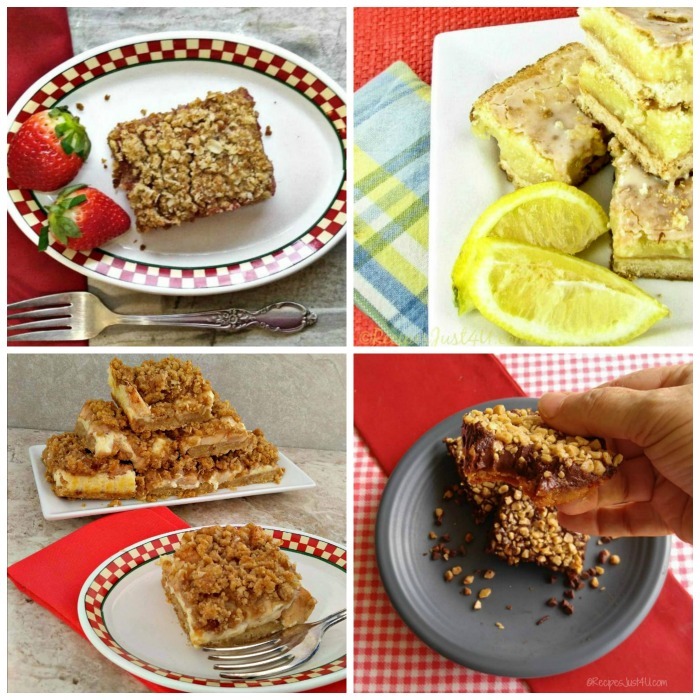 Lemon Cheesecake Creme Brulee Bars. 7. Chocolate Pecan Pudding Cake. 8. Dark Chocolate Panna Cotta. 13. Neopolitan Cream Filled Cupcakes. 19. Best Yellow Cake with Candy Kiss and Wafer Decoration. 20. French Silk Chocolate Pie. 22. Chocolate Pudding Cupcakes with Strawberry Centers. 23. Orange Sponge Cake Roll. 26. Want your guests to feel really special? Offer them Billionaire Bars!